Before heading off on one of these Kona coffee tours, boil water to enjoy your gourmet brew from Nature’s Coffee Kettle. And don’t forget to pack the coffee refills for your Hawai’i camping trip. 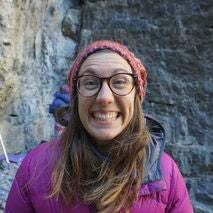 Whenever I camp, I look forward to making my morning cup of coffee, all tucked into my puffy, watching the dew sparkle in the trees, and the ground soften as the sun rises. I love to raise a warm mug to my lips, let the steam fog my glasses, and the contents warm me from the inside out. 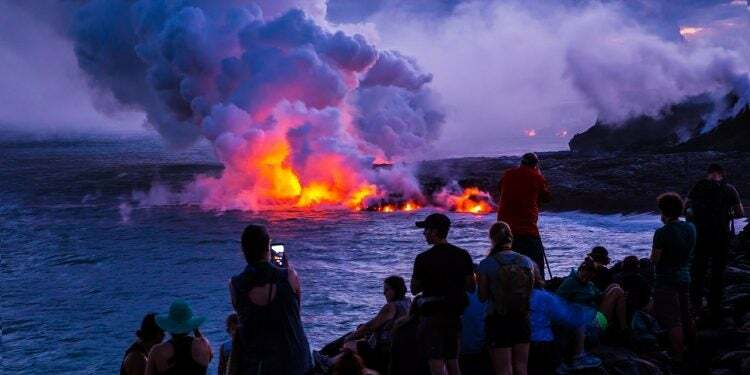 Imagine having this experience on the shores of a tropical island in the middle of the Pacific, where you can listen to the waves crashing while you sip. On the Big Island of Hawai’i, you can do just that. 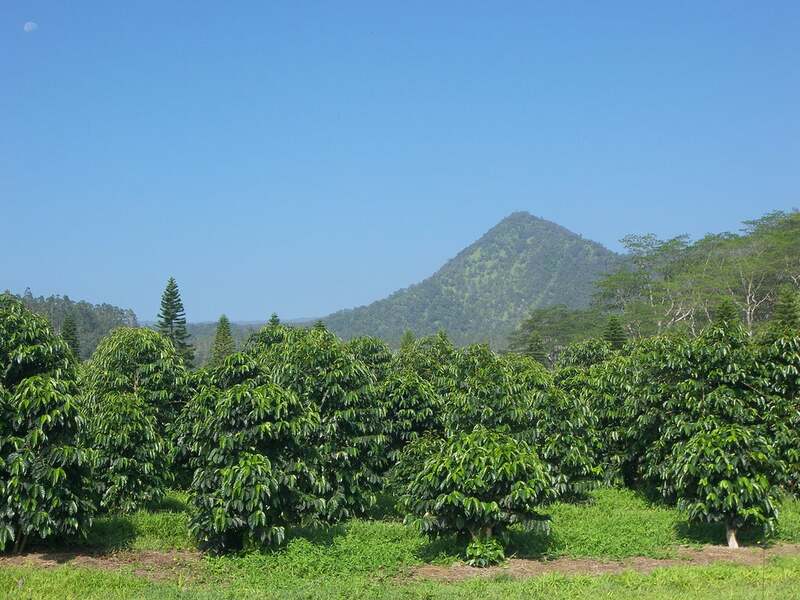 Hawai’i is the only state in the United States to grow commercial coffee. Volcanic soil, moderate climate, and ample rain create ideal growing conditions for high-quality beans, and most plantations on the island have won world acclaim for at least one of their brews. While Hawaii is roughly 400 miles outside the prime growing band near the equator, the combination of climate factors makes it a prime location for growing and brewing Kona coffee. Due to the nature of coffee bean growth, workers must pick the beans by hand as they ripen. Then they go through the de-pulping process, are washed, fermented, dried, and roasted. At these four Kona coffee plantations in Hawai’i, you can take a tour of these processes and then pitch your tent at one of four idyllic campgrounds on the Big Island. Hawai’i does a lot of things right (shave ice, anyone? ), and coffee is one of them. Not only does their coffee taste great, but it can be enjoyed with surrounding views of the Pacific Ocean and jungle landscape. Most plantations and farms offer free or self-guided tours for minimal cost. Kona coffee tours are a great way to break up the beach days on your Hawai’i vacation. 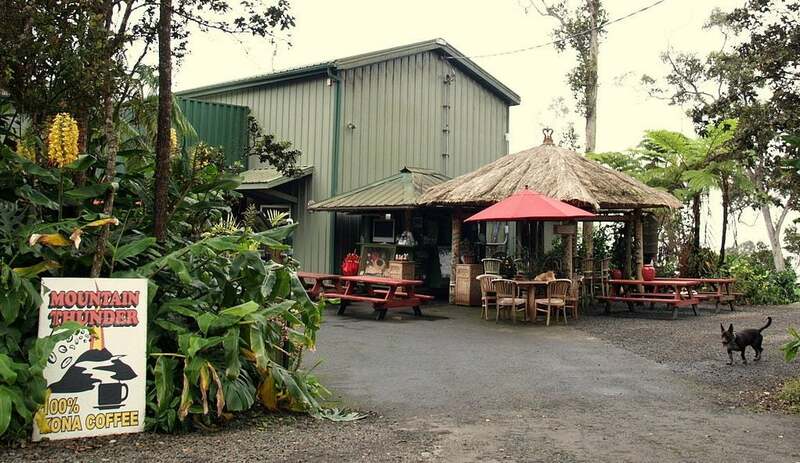 Established over 15 years ago, the Mountain Thunder Coffee Plantation grows their beans in a Cloud Forest on the slopes of the Hualalai Volcano, over 3,000 feet above sea level. Visitors to the island can take plantation tours seven days a week from 10 am to 4 pm. Expect to see a variety of tropical plants like Guava trees and Hawaiian fern on the plantation, along with the coffee process from start to finish. You can visit the plantation for free, or pay $10 for a self-guided tour. Bring along a group of 5 or more for a private experience. 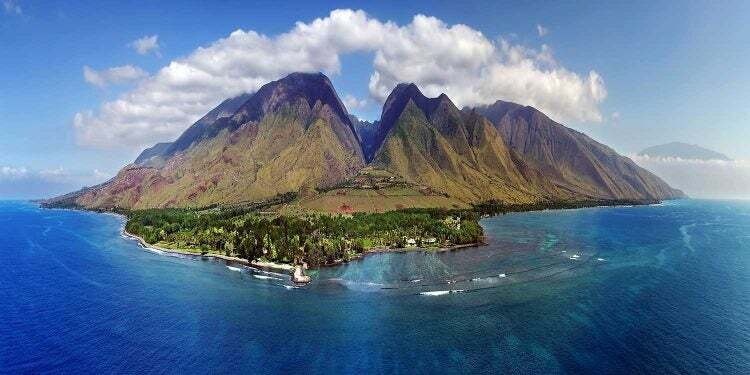 In 1850 Henry Nicholas Greenwell set off from England for the tropical paradise of Hawaii. He put down roots in the region to plant and harvest Kona Coffee. Twenty-three years later, the Greenwell Farms won a “Recognition Diploma” from the World’s Fair in Austria. In the years since, they’ve passed on the business through generations, perfecting the roasting process along the way. 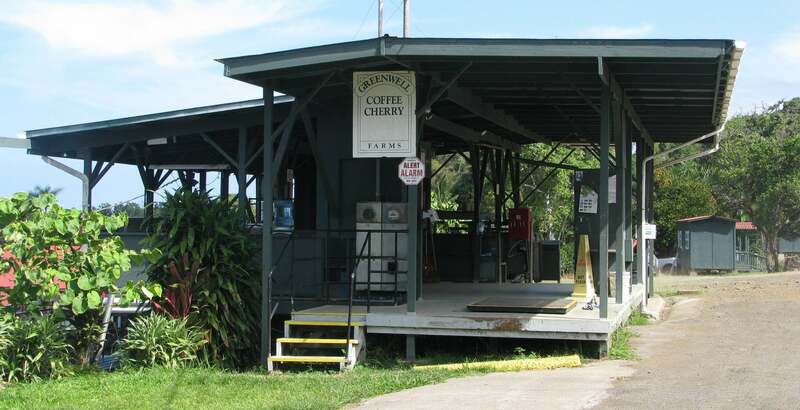 Kona coffee tours on the farm are complimentary and run daily between 8:30 am and 4:00 pm. 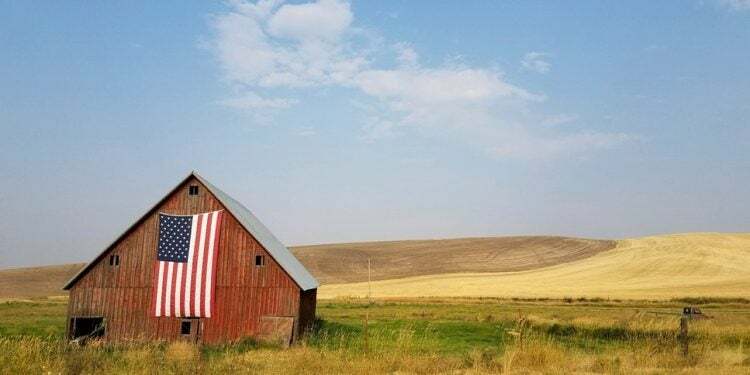 Sixteen years ago, Lee and Karen Paterson entered the coffee industry with their 11-acre cow pasture in hopes of making one of the world’s top ten roasts. In 2008, Coffee Review named the Hula Daddy Kona Sweet Coffee sixth in the world. Nine years later they received 97 points for their coffee, on a 100-point scale. They’ve since expanded to 20 acres, and plant well over 7000 trees to harvest. Visitors can tour the orchard, roasting room, and receive complimentary coffee tasting between 10 am and 4 pm. Image by Kona Coffee Tea Co. 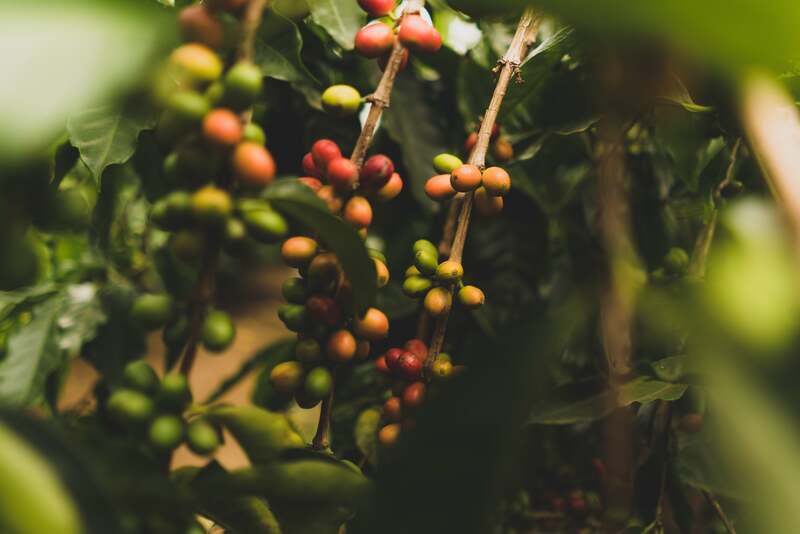 Grown at 2,000 feet, the coffee beans of Kona Coffee and Tea are carefully hand-picked throughout the season to ensure they harvest the cherries at their peak. 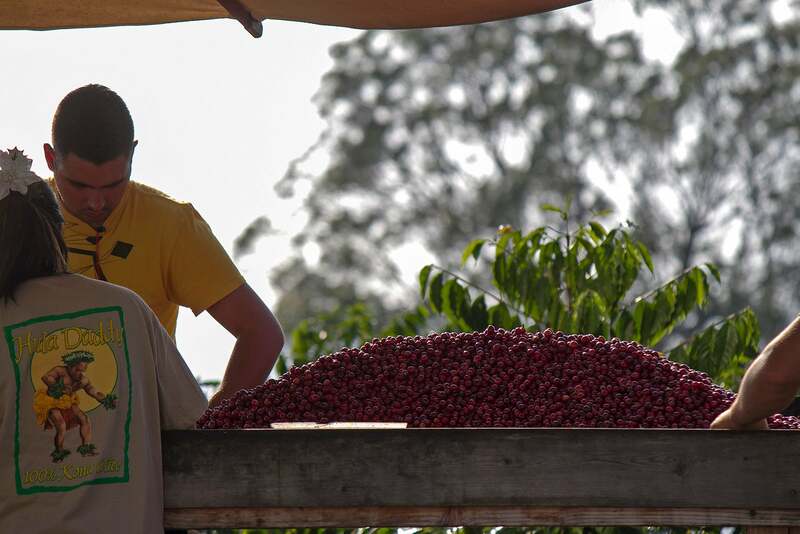 The cherries are then transported a few miles down to the mill, where the beans are processed and roasted by professional roasters with the highest attention to detail. Kona coffee is then brewed and served at their shop on site. Visiting the cafe is free and accessible. Touring the Kona estate will cost quite a bit though, as tours are only done by helicopter through Paradise Copters. 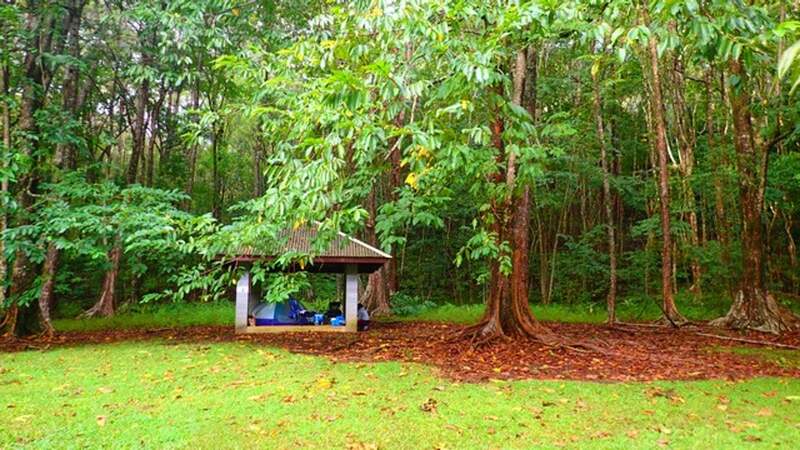 A day full of Kona coffee tours calls for a night of rest at one of these four campgrounds on the Big Island. 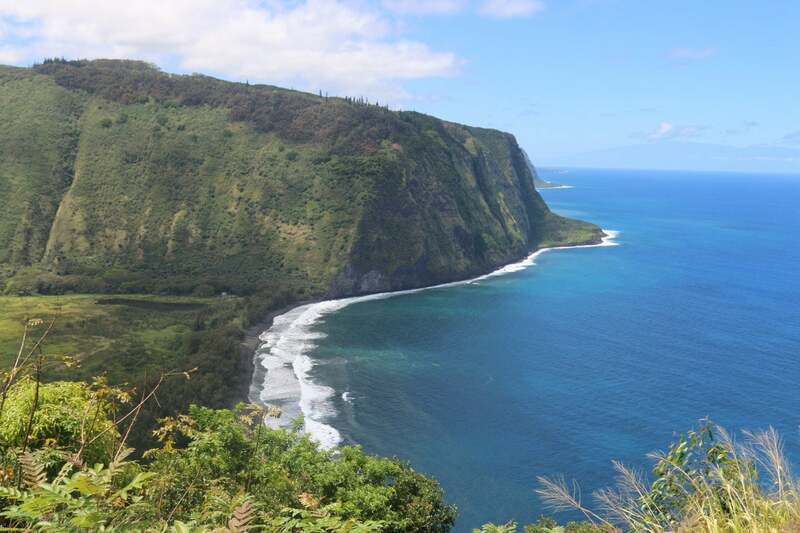 If you don’t want the fun to stop, consider Waimanu, which requires over 7.5 miles of hiking to access. For those wanting a simpler and quicker experience, Spencer Beach and Kohanaiki offer camping as close to the water as possible. And for jungle dwellers, Kalopa Recreation Area. 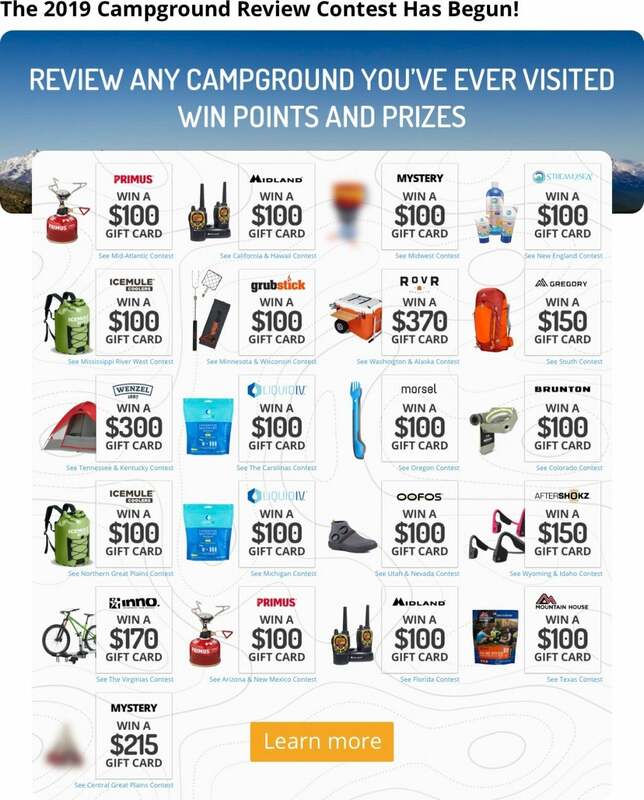 Or take a tour and camp at all four, the options are endless. 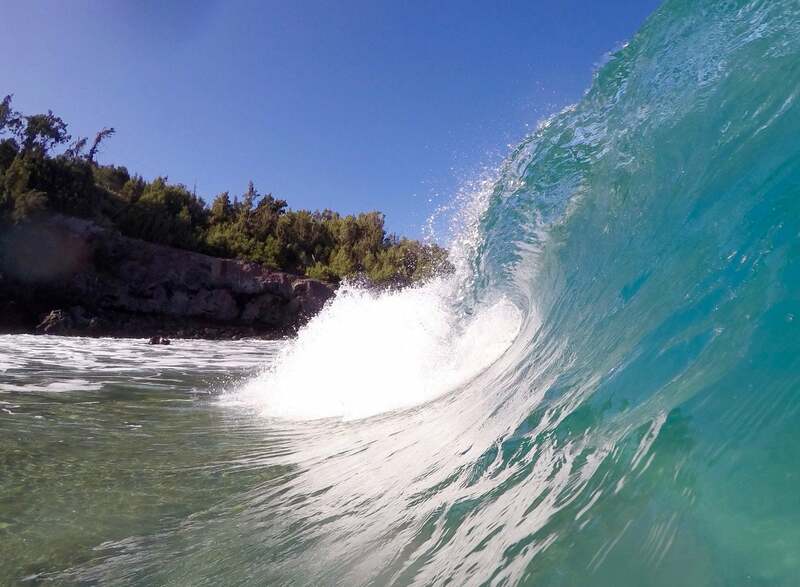 Image from The Dyrt user Bryce H.
If you want to be as close to the beach as physically possible, Kohanaiki is the place to do it. Lay your sleeping bag along the shoreline and fall asleep to waves lapping the beach. Count the stars, wake up at dawn to catch a wave, and then head to a plantation at 10am to be first in line for the tour. “White sand, known as a pretty okay surfing beach. This is the place to go if you like nice facilities. Better than most parks here the bathrooms can be a trek but they are clean and well tended to.” – The Dyrt camper Bryce H.
For the adventurers among us, Waimanu Campsite offers exceptional views of the surrounding jagged landscape and shoreline along the northwest shore of the Big Island. 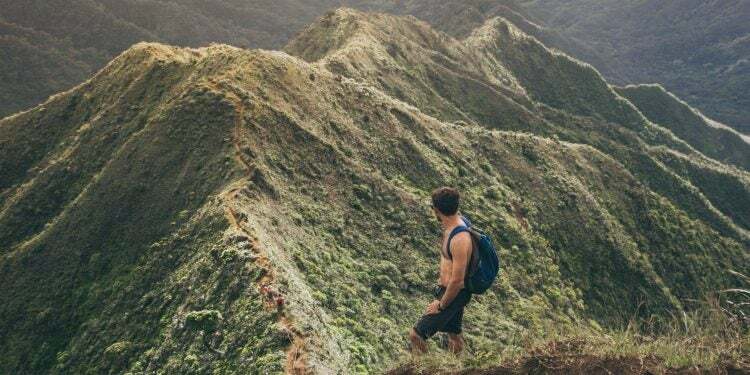 Backpacks and gear are required for the 15.3 mile round-trip voyage to one of the nine campsites along this Hawaiian trail. Be prepared for muddy, steep, and sometimes challenging conditions. You will find seclusion at the end of your journey. 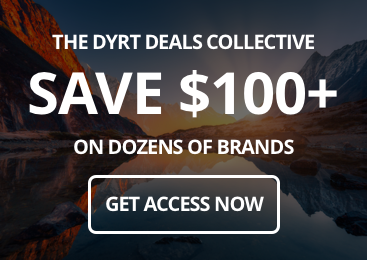 “It is worth it! A beautiful pristine beach, waterfalls all around, and towering green mountains covered in dense jungle. Absolutely amazing!” – The Dyrt camper Tarah W.
Image from The Dyrt user Sasha W.
A popular site among locals and visitors alike, you’ll want to book ahead of time for camping at Spencer Beach State Park. Spencer Beach offers an inlet with calm waters and a gentle sandy slope into the water. Locals can snag a great deal at Spencer Beach with campsite permits for $5/night. Visitors to the island, however, need to pay the slightly higher price of $21. Not bad, given the oceanfront views, excellent swimming, and proximity to town for groceries and shave ice. 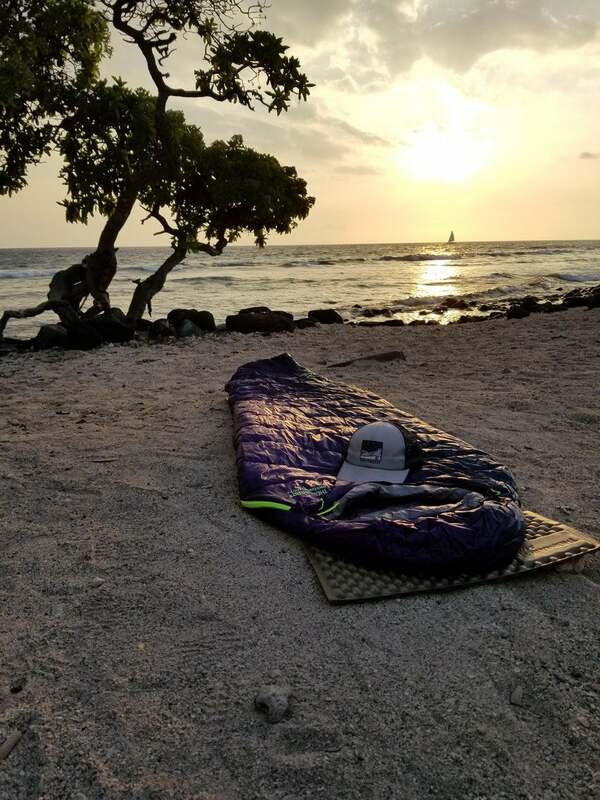 Our users are in agreement: Spencer Beach is a can’t miss camp spot on the Big Island. 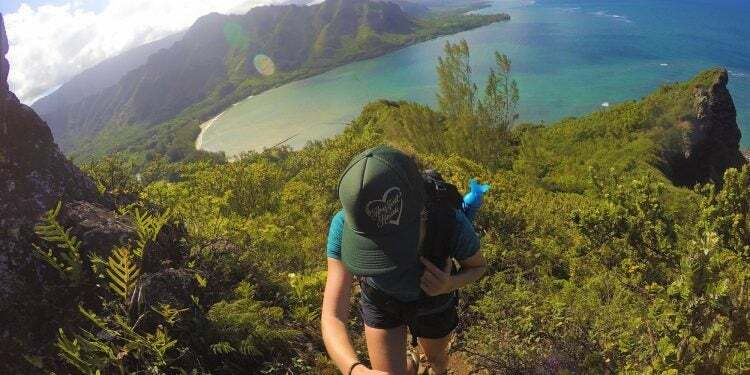 “Best place I have ever camped,” – The Dyrt camper Leah H.
Image from The Dyrt user Sharon N.
Kalopa State Recreation Area might make you feel like you’ve entered the set of Lost. Banyan and Eucalyptus trees dot the landscape and present a tripping hazard if you aren’t on the lookout for rogue tree roots. Camping here is a foray into the jungle, and you might even forget you’re in Hawaii. Don’t worry, the beach is less than 5 miles away. For locals, Kalopa is their mainstay, returning to this campground time and again. “Kalopa is one of my favorite campgrounds here on the Big Island. The cabins are affordable, and [the campground] includes a large dining hall with a kitchen.” – The Dyrt user Kerrianna W.